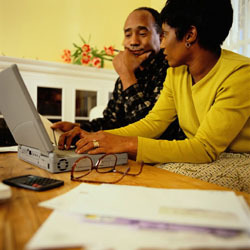 Many people think that life insurance is only for people with families. While it is true that life insurance can help provide for the needs of dependents, life insurance also can be an important part of a well-thought-out estate, business succession or charitable giving plan. With the variety of life insurance and financial products we provide, we can help you meet your personal or business needs. Contact us. We will help you analyze your needs and recommend appropriate solutions. Term Life - Term Life policies provide coverage for a specific amount of time – such as 5 years, 10 years, 20 years, or 30 years. Term premiums are less expensive than whole life premiums, but once the term of the policy is complete, coverage terminates. There is no accumulation of cash value. Universal Life - Like Whole Life, Universal Life is a permanent insurance policy, which means that it covers you for your entire life, as long as premiums are paid and policy requirements are met. Universal life offers you flexibility that enables you to change your premium, contributions, and increase or decrease your death benefit as your needs change. Variable Universal Life* - Variable Universal Life combines the premium and death benefit flexibility of a Universal Life policy with investment opportunities. You can allocate your premium amongst a variety of professionally managed investment accounts. Assets allocated to the investment divisions are subject to market risk and may lose or gain value. Need a little help in deciding which products would be right for you and your family or your business needs? Please do not hesitate to contact us for additional information. We can recommend the appropriate products.